Ecosystems in the tundra biome feature plants and animals adapted to life in a cold, dry climate. The word “tundra” is descriptive of the landscape in this biome and means “treeless plain.” Biomes are regions with a particular climate where a community of organisms coexist. At first glance, this biome may appear lifeless, but it supports a diversity of plants, mammals, birds, fish and other organisms. Living things within an ecosystem interact to transfer energy when they eat or are eaten by other organisms. Food chains show how energy transfers from one living thing to another. Like most biomes, climate plays a large role in determining the types of organisms that live in an ecosystem. The climate in the tundra biome is cold, dry and windy. Temperatures rise above freezing during summer, but the landscape is nearly always covered with frost, snow or ice. Summer temperatures peak around 50 degrees Fahrenheit and in winter drop to nearly -30 degrees F. The top layer of soil is frozen year-round, a condition called permafrost. About 20 percent of Earth is tundra. Tundra ecosystems are found mainly in North America, Europe, Asia and coastal Antarctica. There are three types of tundra: alpine, Arctic and Antarctic. Alpine tundra is in mountainous regions at high elevations. It is the only type of tundra biome that does not have permafrost, and it supports a wider variety of plant life. Arctic and Antarctic tundra are located near to the poles and are colder than alpine biomes. A food chain has organisms that producers and organisms that are consumers. Consumers are obtain food by eating other living things. Producers like plants and algae make their own food. A food chain shows the flow of energy in an ecosystem. Energy from the sun allows producers to make their own food. Primary consumers eat producers and secondary consumers eat primary consumers. Secondary consumers are eaten by tertiary consumers, who are the top of the food chain. Energy is lost at each trophic level of a food chain. As a result, there are fewer organisms per level moving up the food chain. There are more producers than consumers, and there are fewer organisms who are tertiary consumers than any other trophic level. 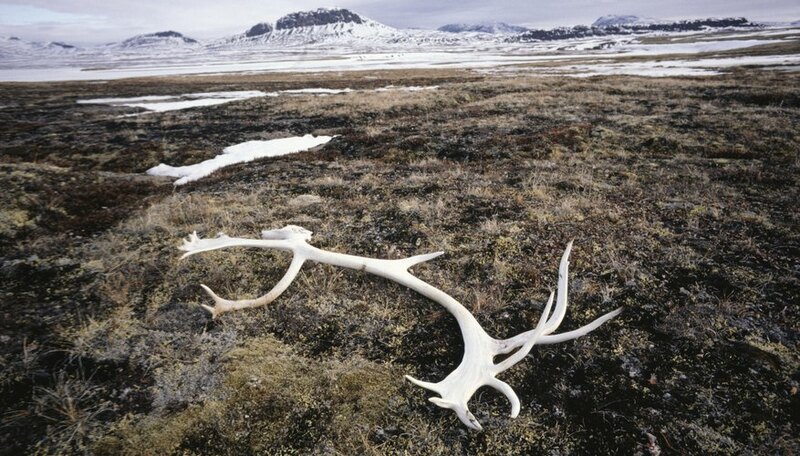 Cold temperatures, permafrost and poor soil quality limit the number of producers in tundra ecosystems. Plants are mainly short grasses, low-growing shrubs, mosses and liverworts. Flowering plants live mainly in alpine tundra biomes. Trees cannot grow here due to the cold, dry climate. Squirrels, lemmings, hares, reindeer and caribou are primary consumers that feed on plants. Arctic foxes, grizzly bears, wolves, and falcons are some of the animals that prey on the primary consumers. Arctic tundra ecosystems also include marine life such as polar bears, seals, salmon, gulls and terns. Antarctic tundra support only a few plant species, and there are no land mammals. Ecosystems are centered mainly on marine-based food chains that include algae, plankton, krill, fish, penguins, seals and whales. Alpine and some Arctic biome food chains are based on terrestrial plants and animals. 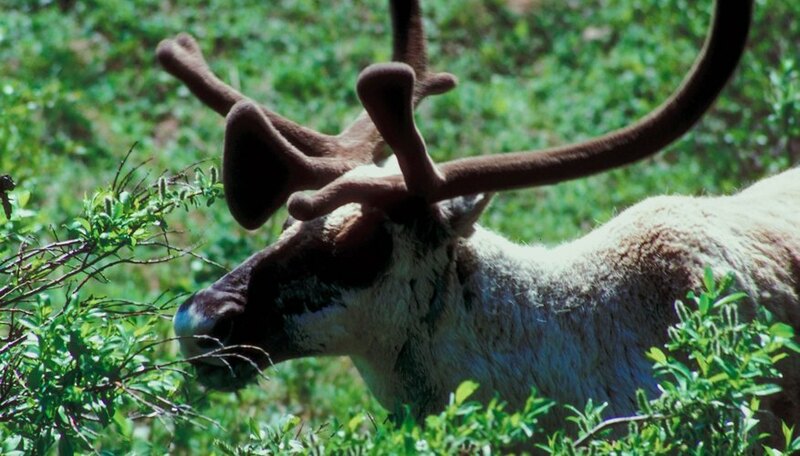 Plants are the producers, and primary consumers include rodents, hares and caribou. 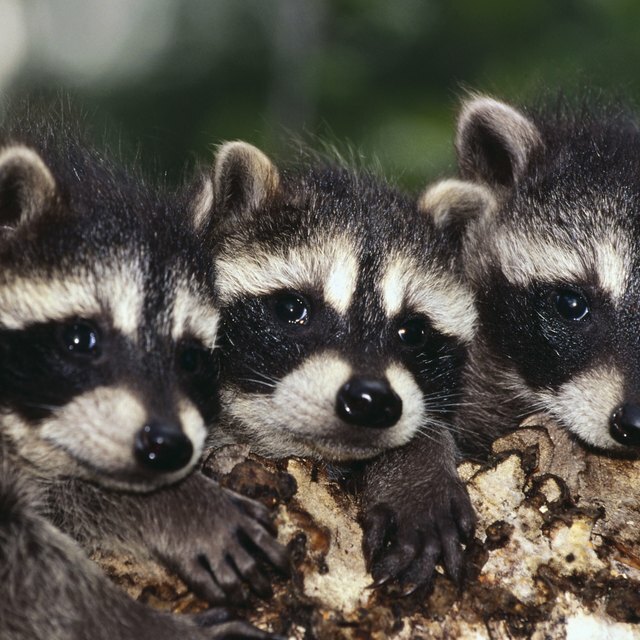 These primary consumers are eaten by secondary consumers such as foxes, wolves and bears. In coastal areas, tertiary consumers – such as bears – feed on fish, which are secondary consumers that feed on smaller fish. Marine food chains in the Arctic and Antarctic regions have more tertiary consumers than land-based food chains. These tundra consumers, such as seals and whales, feed on animals that eat other consumers. For example, a fish eats algae and is eaten by a penguin, which is eaten by a seal. Algae is a producer, the fish is a primary consumer, the penguin is a secondary consumer and the seal is a tertiary consumer. Living things in a biome don’t interact solely within the confines of a single food chain. Tundra food chains only show the flow of energy from one species to the next. Multiple food chains intersect to form a food web, which shows how energy is transferred between multiple species. Food webs are more complex because they show how energy transfers between animals in different food chains. Multiple primary consumers feeding on different producers become prey for more than one type of secondary consumer, which in turn may be eaten by more than one type of tertiary consumer. For example, a food chain with wolves as secondary consumers that prey on hares can intersect with a food chain in which falcons are the secondary consumer preying on hares. Mentzer, A.P.. "About Food Chains in the Tundra Ecosystem." Sciencing, https://sciencing.com/food-chains-tundra-ecosystem-11903.html. 06 August 2018.